SA Dragons Abreast (SADA) is a dragon boating sports club based at West Lakes in Adelaide, South Australia, competing within state run DragonBoat SA (DBSA). Founded in 2001 to support the recovery of breast cancer survivors, SADA has evolved to include both men and women across a range of categories and ages. ﻿Dragon boating is a fantastic low-impact, all-ages sport and one of the fastest growing team sports in the world. Its origins go back to China more than 3,000 years ago. Today dragon boating is a highly competitive national sport, with amateur, state and national teams. It is also a great way to stay in shape and make new friends. Social, Masters, Grand Masters, and Great Grand Dragons. There is something for everyone. 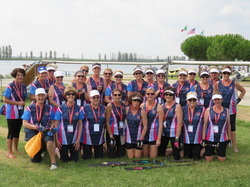 We welcome new members of all ages and fitness levels and we have sports teams for all categories, a 'Social Membership' for those who want stay in shape without the pressure of competing and a 'Friends of SADA' membership for those who are unable to paddle but want to stay in touch with social activities . The team travels throughout Australia and the world for competitions and competes locally during the racing season which runs from September to April each year. The Club Crew World Championships 'Dragons Down Under' was held here in Adelaide in 2016. 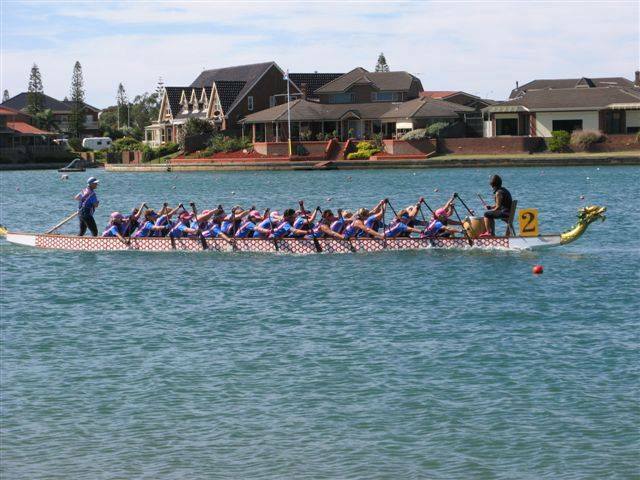 SADA competes in local, State and National Championships and in 2018 competed in the Bali International Dragon Boat Festival. Go to the Training and Contact pages for more information. Find out how to join SADA and be part of the fastest growing water sport! Click Contact page for details.